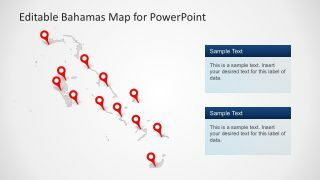 The Bahamas Editable Map for PowerPoint. 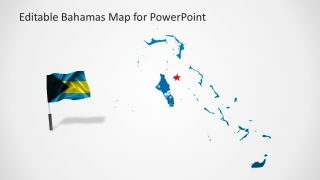 Known officially as the Commonwealth of the Bahamas is an independent state. 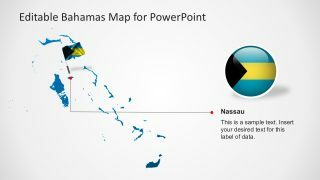 The Bahamas does not share land borders with any countries. Because islands, cays, and islets surround the country. Nassau is the capital city of The Bahamas. 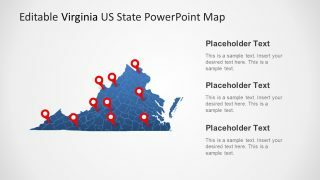 In the PowerPoint, the capital city is zoomed out from the main map. Hence, all the shapes in the map are customizable in size and position. Therefore, the users can highlight a particular city or territory depending on the intention. 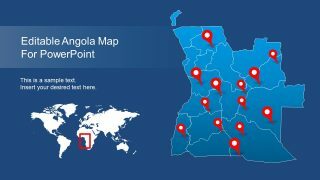 This is made possible to make the map suitable for marketing, sales, and other political and business purposes. 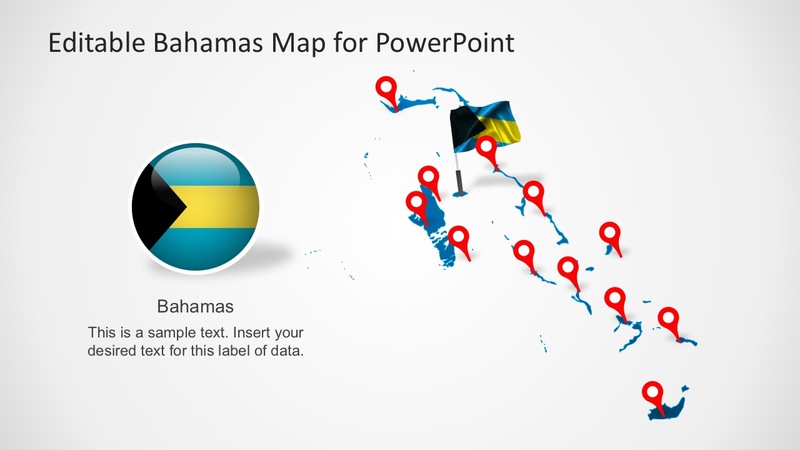 The PowerPoint Map has icons which make The Bahamas Map versatile. 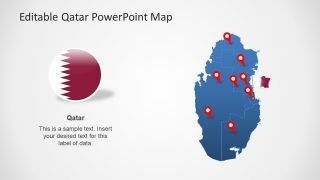 The map icons are editable with control over shape, color, and size. 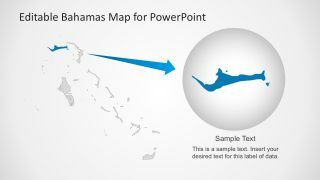 The icons are easily changeable using shape options in PowerPoint. 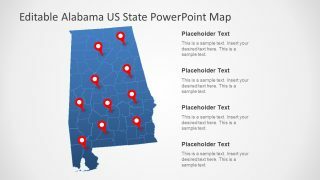 Also, this map template includes useful shapes like the national flag, star and circular icons, man pins, arrows, and more. Thus, completing the layout are title boxes and writable text placeholders. 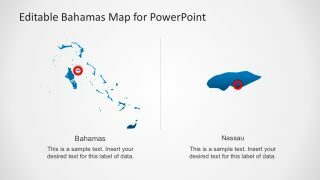 Meanwhile, the PowerPoint map comes with good quality images. Also, available in the 16:9 widescreen and 4:3 normal screen. 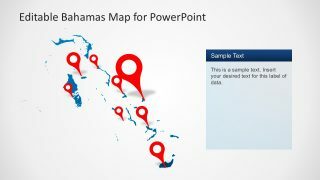 This is to prepare the slides for commercial presentations or corporate reports. 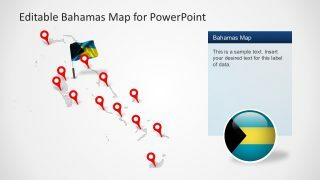 Alternatively, see more timely PowerPoint Maps in the gallery.